A trained artist in another field of endeavor, Jon Burgess has spent many hours over a matter of some ten years exploring the hidden recesses of various bits of design orientated software, using it in ways it wasn’t intended to be used. 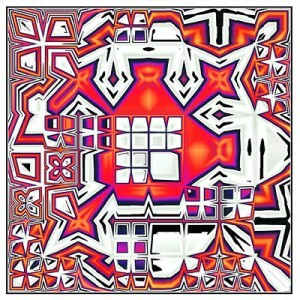 Abstract images and patterns are the most immediately interesting result of what he calls ‘Following the Fascination’. Their suitability as tile designs was something he stumbled upon and then pursued, perfecting it as he went.